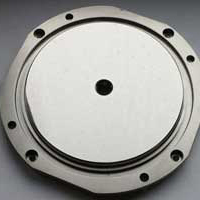 lapping will give a datum for more conventional machining. the finish to our customer requirements. with steel inserts which therefore eliminates tool “bounce”. 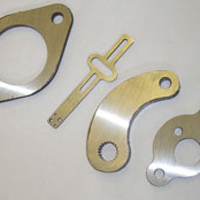 N.L Roper & Sons Ltd has 44 years experience in precision lapping services, flat grinding and polishing. We serve a number of industries including aerospace, medical, motorsport and defence offering a competitive service to our customers with the emphasis on quality and customer care. We can achieve many different finishes and can lap and fine grind a variety of materials. 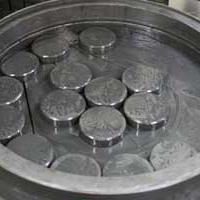 We can give a range of surface finishes or produce a mirror finish 0.02µmRa or better, depending on the material. Flat grinding on our continuous production machines, allows us to remove material quicker than lapping. 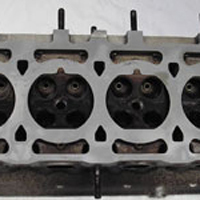 We offer a competitive lapping service on cylinder heads which ensures minimum stock removal. Ropers always go that extra mile to satisfy our requirements and at a competitive price. N L Roper are a supplier to us and we have had over 5 years experience of them giving excellent service, providing subcontract lapping with high quality results and reliable delivery performance. Have worked closely with NL Roper for many years and have found their professionalism and commitment to tight lead times and dimensions second to none. I would recommend this business to anyone who is looking to subcontract lapping, grinding or polishing processes, they will not let you down.